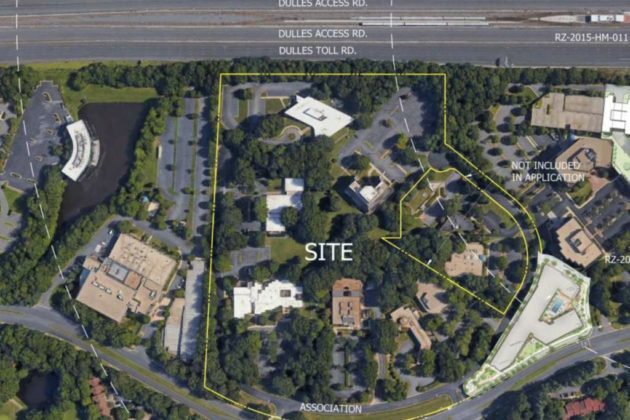 Foulger-Pratt, a Potomac-based developer, is seeking to build a 1.5 million-square-foot project on Reston Association Drive, joining a long list of developers honing in on land near the Wiehle-Reston East Metro Station. 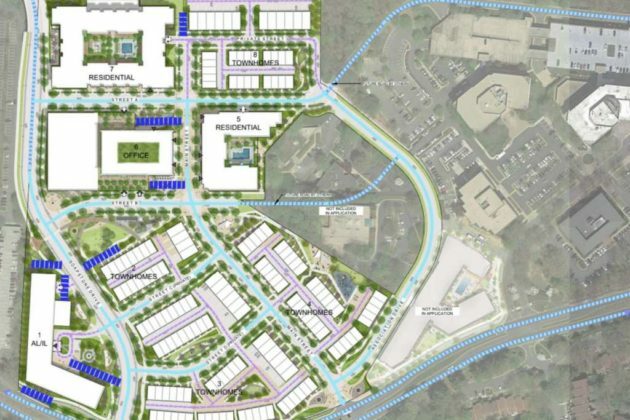 The project, one of several major mixed-used developments near the Wiehle-Reston East Metro Station, will include up to 907 residential units, an assisted living facility, an office building and ground-level retail. The developer envisions contributing funds for the right-of-way road the Soapstone Drive overpass and construction of the southern portion of the new roadway. The Washington Business Journal reported that the project is expected to cost $400 million. 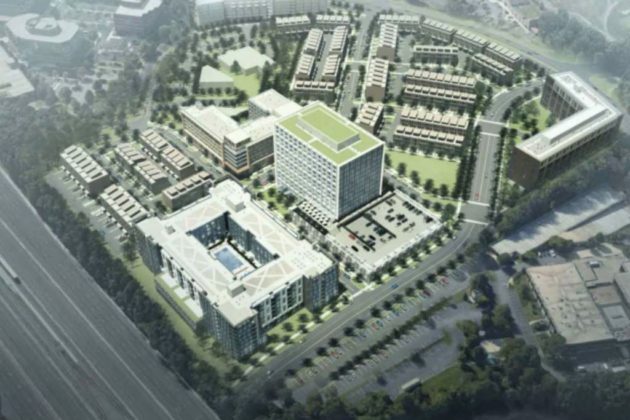 The existing office park, which contains seven office buildings built in the early 70s and 80s, will be transformed into a transit-oriented development with eight development blocks. The project is located on the north side of Sunrise Valley Drive, west of its intersection with Wiehle Avenue. Block 1: An assisted living facility on the southwestern corner of the site along Sunrise Valley Drive and the western side of the future Soapstone Drive overpass. The eight-floor building will include 210 units. A healing garden will be available for use by patients, visitors, and staff. Blocks 2, 3 and 4: A combination of townhouses and two-over-two flats totaling roughly 138 units. A central green, gateway park, cycle park, and neighborhood park are also proposed. Block 5: A residential condominium with 154 units with a “variety of price points to encourage first time home buyers,” according to the project’s statement of justification. The ground floor will contain 6,000 square feet of on-site retail. A five-story office is also pitched as an alternative to the residential building. Block 6: A 14-story office building with 6,166 square feet of ground-level retail and five levels of parking. Outdoor plazas with seating and other amenities are also planned. Block 7: A seven-story residential building with 360 units and a fenced dog park. Block 8: Around 45 units, likely a combination of townhouses and two-over-two flats. A garden park is located in this block. “By placing parks of a variety of scales throughout the site, all are invited to travel throughout the community exploring the different spaces. The entire site becomes the ‘backyard,’ a shared space meant for the community to gather, play and relax,” according to the development plan.